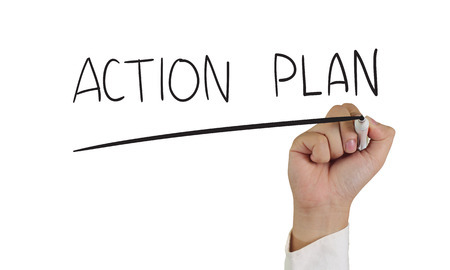 The daily action plan template is a simplified tool to get you past procrastination and allow you to take action on action steps to meet your goals. Here is the secret of this tool; it’s simple and unstructured. Let’s take a little journey to see how this tool can help you overcome the insidious power of an object at rest. Here is the scenario. It’s 10 am and you haven’t made a dent in the day. Social media has engulfed the first two hours of your time and if you don’t do something quickly your whole morning will have been wasted. The problem is, you don’t know where to start. You have a looming project in front of you, but it is so tedious and complicated that it’s easier to just surf mindlessly on Facebook than to actually get started. Sound familiar? I struggle with this scenario often. Over the years I’ve tried a number of tools and strategies to get started, but many actually make the problem worse. They actually make the day more tedious and more complicated. The reason for this is simple. 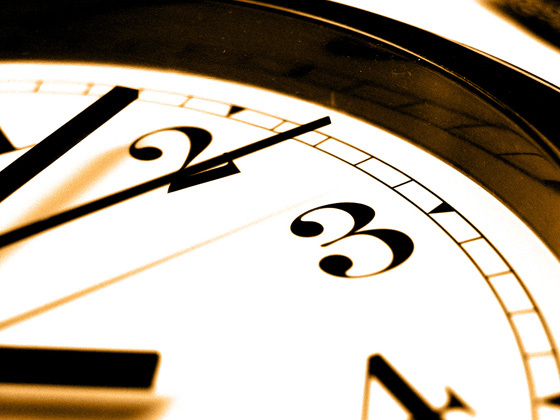 Modern time management systems say we should work smarter and do important things first. So we make a to-do list of all the things we need to accomplish and then try and prioritize them into a strategic plan for the day. Unfortunately, the mental fatigue of decision making quickly takes over. We start asking ourselves; What is important and what isn’t? The sheer size of most of our to-do lists is exhausting in itself. We have so many things to do and not enough time to do them. The instant gratification part of our minds take over and whispers; Might as well surf social media till noon and take another stab at the day after lunch. In times like this, I’ve found one trick to move forward. The power is in its simplicity. All you need to do is take one thing on your to-do list and break it down into action steps. David Allen, in his famous book, Getting Things Done, calls these next actions. 90+ % of the to do lists I’ve seen are incomplete inventories of still-unclear things. The Next Action definition (if you’re really getting down to having no ambiguity about the next visible physical activity required to move something forward), actually finishes the thinking you’ve implicitly agreed with yourself that you’ll do. “Mom” is an unclarified to do item. But when “Mom” is translated into “Celebrate Mom’s birthday with a party” as a project outcome, then “Call Sis about what we should do for Mom’s birthday” is a clear next action. Because “Mom” is vague, it still triggers stress when you look at it on a list. “Call Sis . . . ” triggers action and positive engagement. To help you with this I’ve created a simple Daily Action Plan Template. At the top is an open area for Action planning, then there are four boxes below broken up into common action areas such as sending email, updating social media, making phone calls/sending texts, and a box for meeting with others. Here is what the daily action plan template looks like. The secret to making this template work is to use action verbs to describe the individual actions. I’ve intentionally left the daily action plan template free form so you can use it in different ways. Here are a few different scenarios for the top planning area. Just list actions that you want to take on the lines provided. For the media boxes just list the particular actions you want to take for each section. Be sure to include the addresses or phone numbers. By sending your emails or making your phone calls all at the same time, you make more efficient use of your time and will be much more likely to keep going than if you do each one per task. 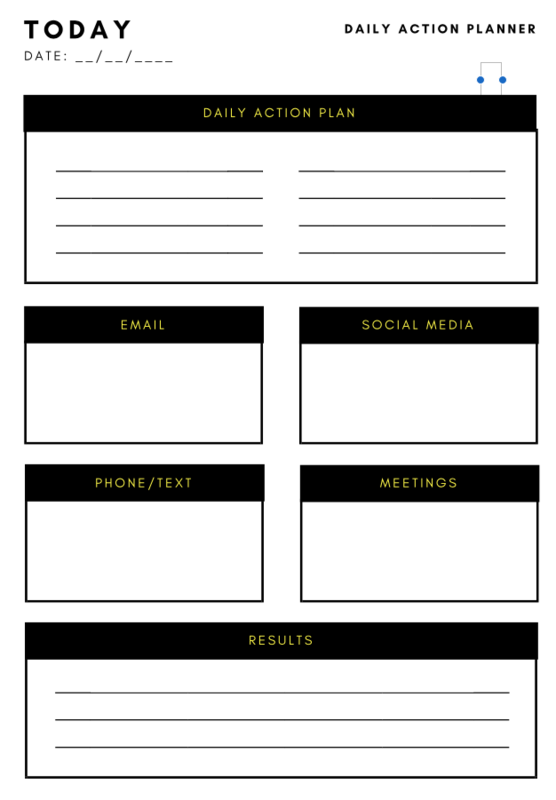 The Daily Action Plan Template is a free download and comes in a PDF format. While the daily action template is a great way to take initiative to overcome procrastination, you’ll still need a good strategy to overcome it. Here are some other resources to help you find success. Blogger, James Clear has a great guide to overcome procrastination. Michael Hyatt has five steps to overcoming procrastination that may help. Jeff Goins has a technique called reverse procrastination that is very interesting and may break the cycle. Question: Do you suffer from procrastination? If so, what techniques have you found to overcome it? Have you ever wanted to take an idea and really run with it? Take the thought and research it thoroughly? Create an outline, with lots of bullet points. I know I have. When the idea takes shape, the real fun comes in… You want to share it with the world. I’ve wanted to do this for years. I’ve had plenty of ideas. Outlined them and even included them in a book. However… I’ve never quite got around to creating the ultimate white paper. A document that someone could pick up and know exactly what I was thinking. A document so concise that it could change somebody’s attitude. A collection of words that would compel someone to action. A written statement declaring publicly the intentions, motives, or views of its issuer. 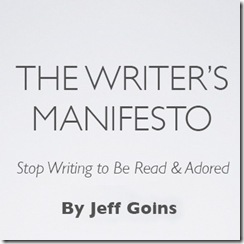 To give you an example of what a manifesto is all about, I’ll share a great one that one of my writing mentors, Jeff Goins, just created. To start writing for the right reasons. This short document can be read in just minutes, but its ideas can change the way you write, and look at writing; forever. I love the power of a direct manifesto. I’ve read many of them over the years on a site called ChangeThis. Nothing quite motivates like a short and focused call to arms. Now, I just need to overcome the little procrastination nabob sitting on my shoulder. Question: What would you write a manifesto about? As a blogger, I have found some really helpful sites in the area of productivity and motivation. Most of the posts have helpful tips on getting yourself to do things faster, better, or even learning the skill of delegating things to others. One of the most prevalent posts is overcoming procrastination. How to get yourself to do things you don’t want to do? How do you motivate yourself to get up in the morning? The answers have been pretty interesting. Bert on his Open Loops blog recently posted two articles entitled “Start your day the night before” and “Six ways to jumpstart your day”. These articles have some great tips to motivate you to get out of bed in the morning and be more productive when you do. Steve Pavlina’s blog has many entries on productivity. One of his most eye opening posts was “How to triple your productivity”. This is definitely a must read for everyone in the working world. I was amazed when I measured my productivity. It was down in the 20-30% range. While this was much higher that the national average of 18% it still was not very good. I’ve been noting the inefficiencies and working to correct them. Phil Gerbyshak on his blog had some great tips on shining your shoes. This is definitely one of those things that gets put off. I only notice it when others are staring at my scuffed up shoes. I spent 5 minutes following his tips the other day and now have a pair of shoes I can be proud of. Jason Womack had an interesting paradoxical quote on his site. “It’s going to take time to save time.” I agree. I’ve been implementing David Allen’s “Getting Things Done” organizational procedures in my life and I can really relate that it’s not an overnight proposition. All of these sites have been very helpful in dealing with overcoming procrastination. How we can organize, streamline and delegate things to make our live more productive. While these are great things, most are external. Most of them make the day easier and more organized. That is where the I-Force comes in. I-Force is what you had when you were a kid on Christmas Eve and you can’t sleep. I-Force is what you have the night before going to Disneyland. I-Force is the excitement that makes you want to jump out of bed and start the day!